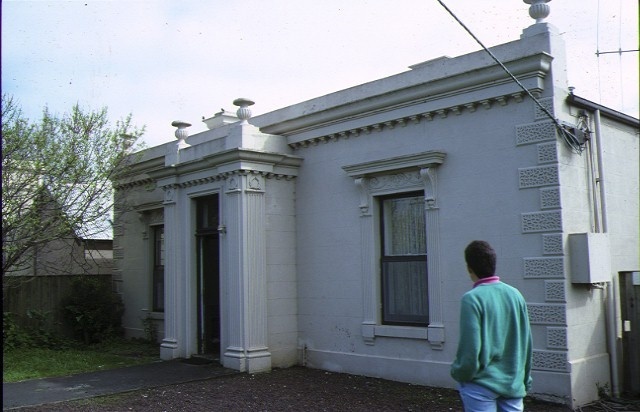 Emoh is of architectural and historical significance to the State of Victoria. The complex is architecturally significant for its sequence of development from the pre-gold rush period through to the late twentieth century and for its Renaissance revival facade, relatively rare at this scale and date. 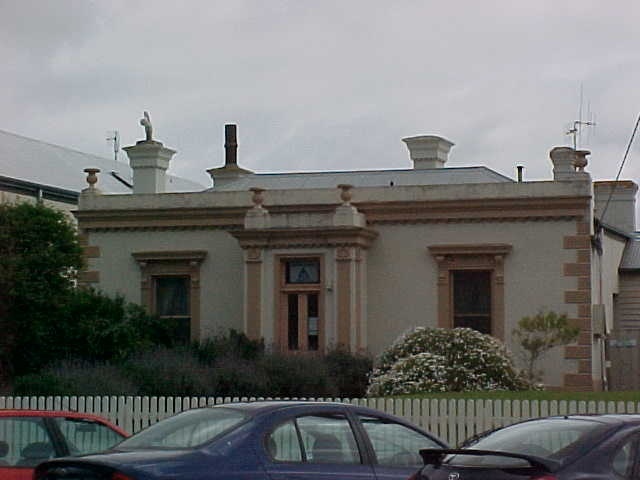 Emoh is historically significant for its association with William Rutledge, David Jermyn and John Meagher specifically and for its reflection of the changing character, conditions and fortunes of Belfast and Port Fairy generally when it was a seafaring town essential for the settlement and development of the Western District. 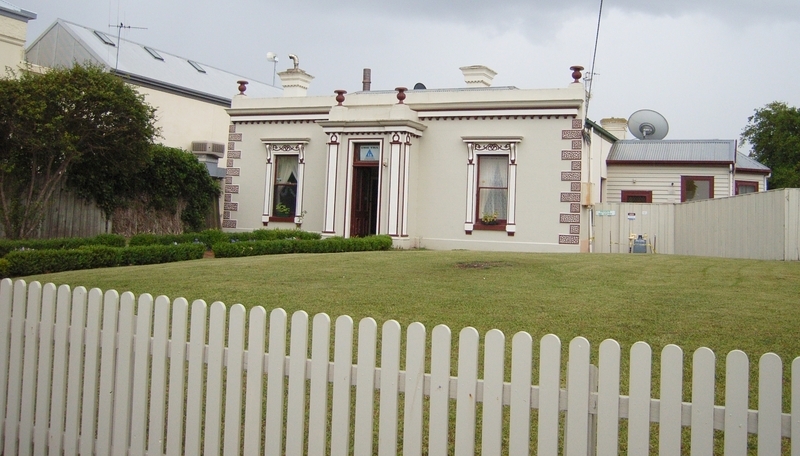 Emoh, 8 Cox Street, Port Fairy, Moyne Shire Council. 1. 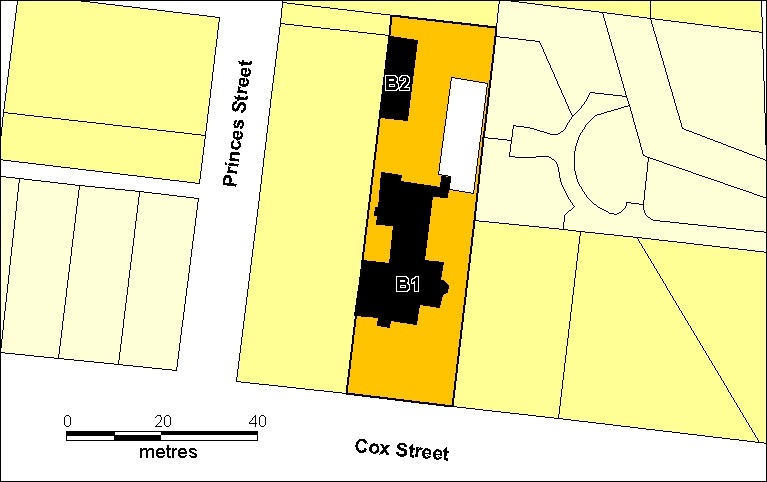 All of the buildings and structures marked as follows on Diagram 600148 held by the Executive Director: B1 House, B2 Stables. 2. All the land marked L1 shown on Diagram 600148 held by the Executive Director. 1. All alterations are to be planned and carried out in a manner that prevents damage to the fabric of the registered place or object. 2. Should it become apparent during further inspection or the carrying out of alterations that original or previously hidden or inaccessible details of the place or object are revealed which relate to the significance of the place or object, then the exemption covering such alteration shall cease and the Executive Director shall be notified as soon as possible. 3. If there is a conservation policy and plan approved by the Executive Director, all works shall be in accordance with it. 4. Nothing in this declaration prevents the Executive Director from amending or rescinding all or any of the permit exemptions. 5. Nothing in this declaration exempts owners or their agents from the responsibility to seek relevant planning or building permits from the responsible authority where applicable. * Minor landscaping, e.g. plantings, paths, gates and fences. * All non-structural works to the 1970s dormitory wing. ie. requirements for outward swinging doors, exit signs, emergency lighting, firefighting equipment and smoke hazard management. The purpose of the permit exemptions is to allow works that do not impact on the significance of the place to take place without the need for a permit. If any doubt exists as to the need for a permit, owners should contact Heritage Victoria or its representative, usually the local Heritage Adviser. Most of the works required to comply with the recommendations of the CFA Fire Safety Evaluation Report No. 5827-281102-281124 do not require a Heritage Victoria permit ie. requirements for outward swinging doors, exit signs, emergency lighting, firefighting equipment and smoke hazard management. Alterations to the access and egress of the stables do remain subject to the permit process. 5. the front garden be landscaped to reflect the later nineteenth century period.